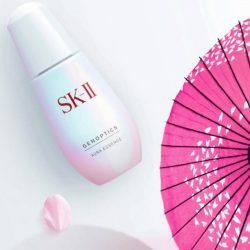 View cart “SK-II WHITENING SOURCE DERM-DEFINITION UV LOTION (SPF50) PA+++ 30G” has been added to your cart. SK-II Facial Treatment Essence (ขวดสีม่วง) 230 ml. SK-II Facial Treatment Clear Lotion 160 ml. SK-II Facial Treatment Gentle Cleanser 120 g.
SK-II Facial Treatment Mask 1 แผ่น.